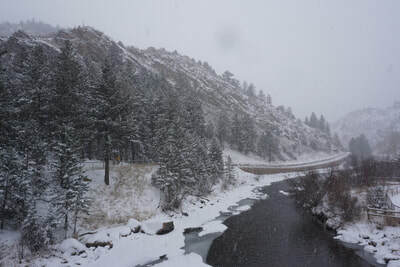 DIRECTIONS: From Denver take I-70 West to Hwy 58 west to Golden. 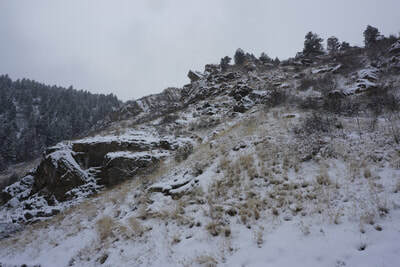 At the intersection with 93, continue straight onto Hwy 6 through Clear Creek Canyon. 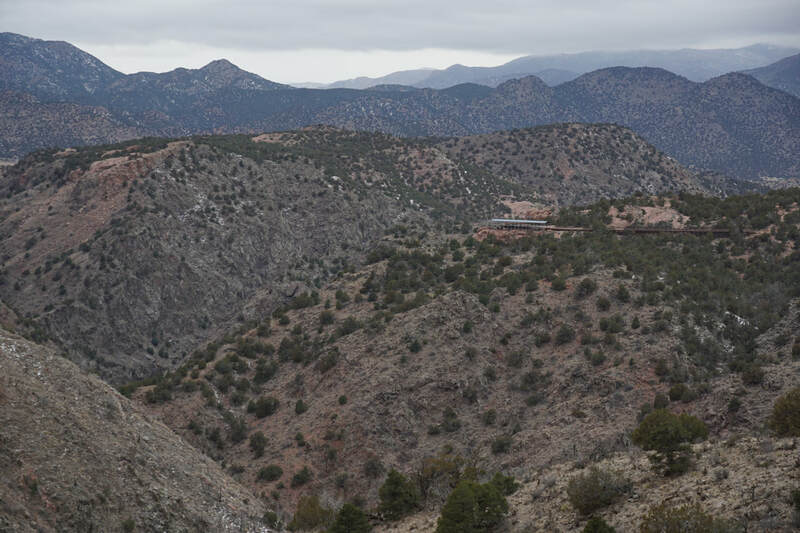 Go almost to the end of the Canyon and you'll see the large parking area on the right (north). 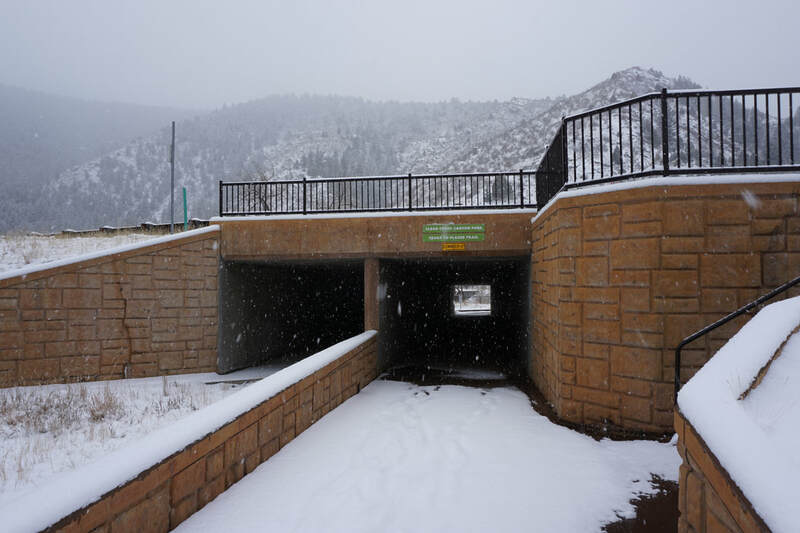 A paved trail from the parking area leads to a tunnel under Hwy 6. 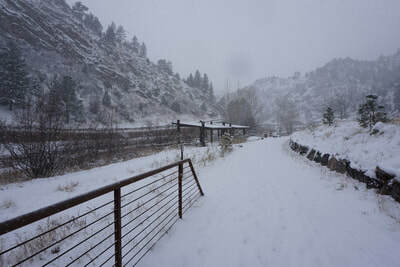 Beyond the tunnel is the trailhead. 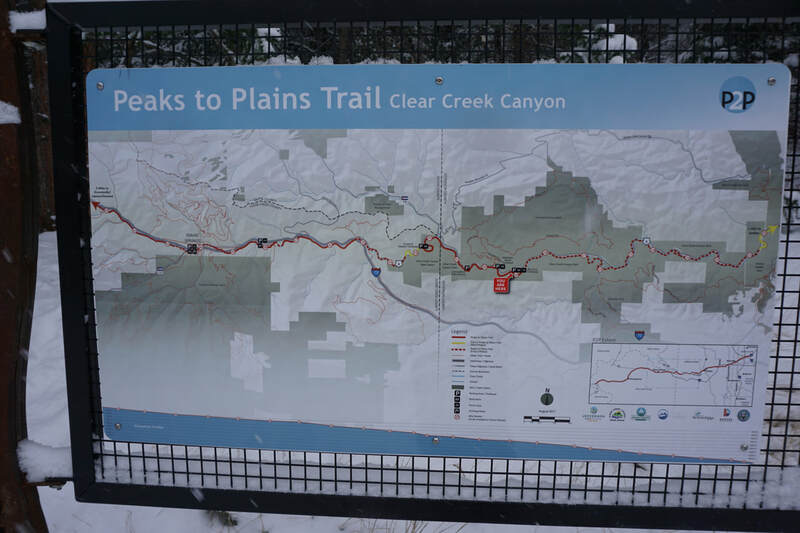 Although, still under construction, the Peaks to Plains Trail has already proven to be a very useful resource. 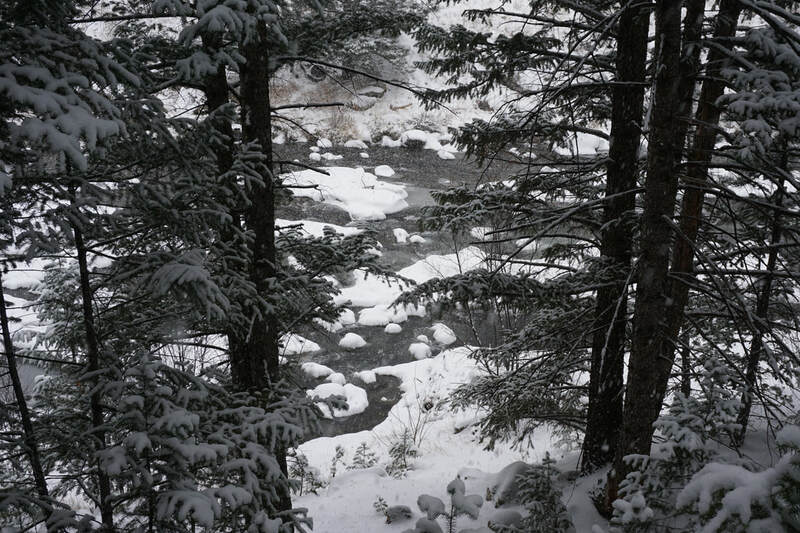 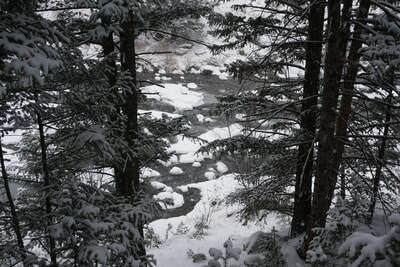 There is no better example of it's usefulness for hikers then during a winter snow storm. 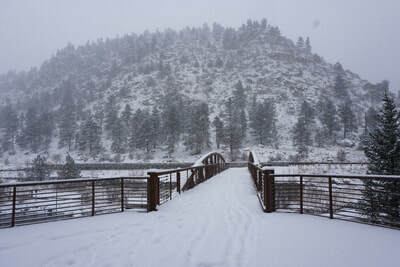 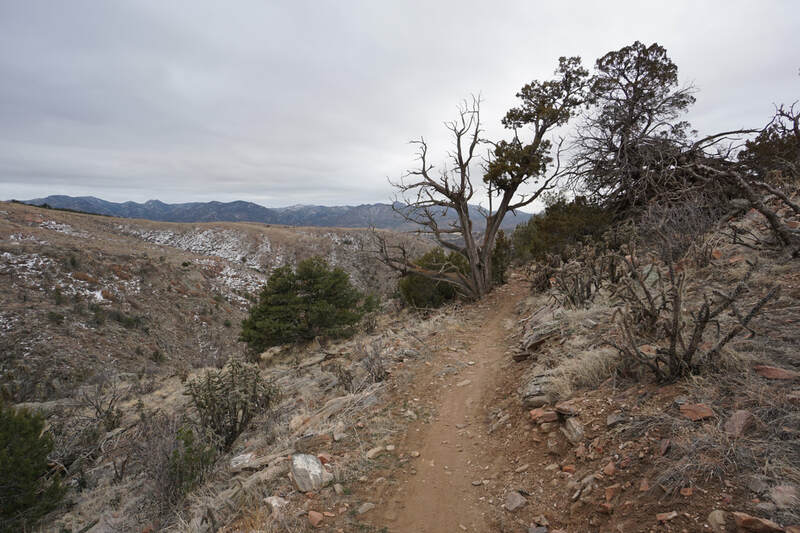 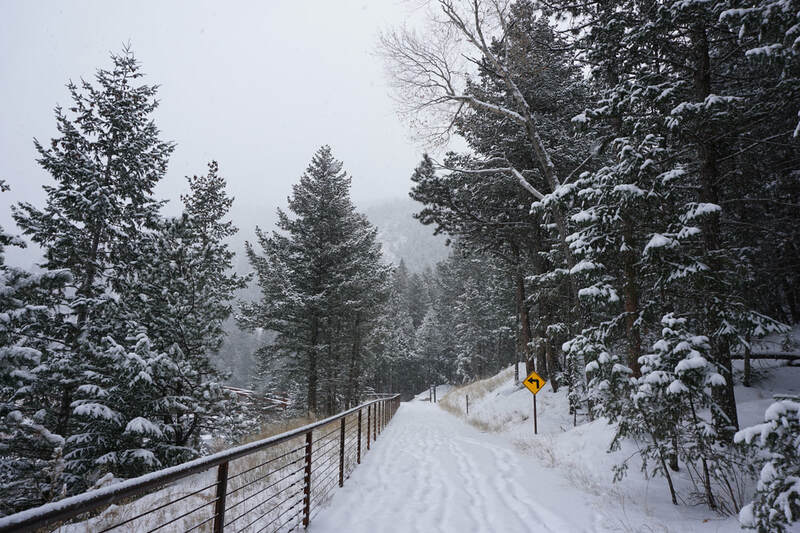 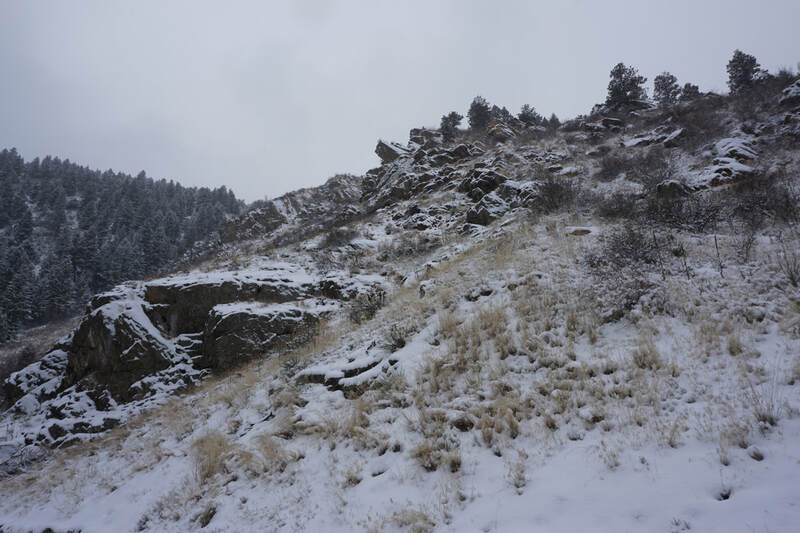 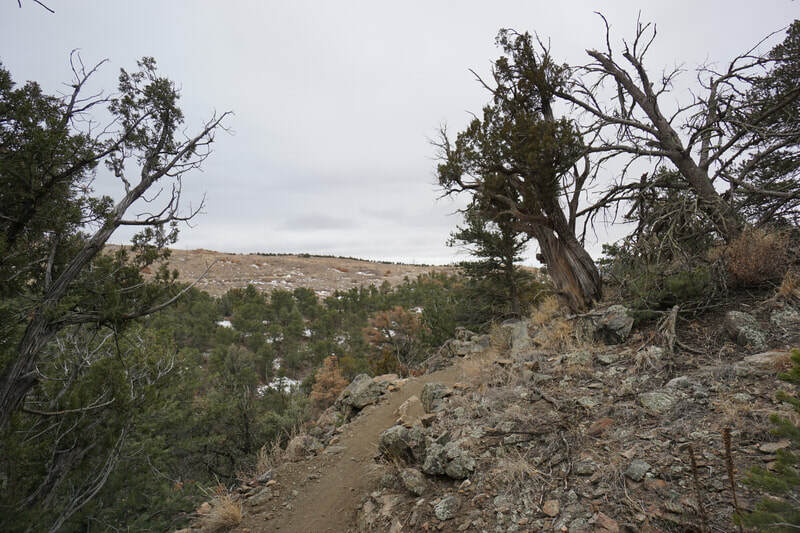 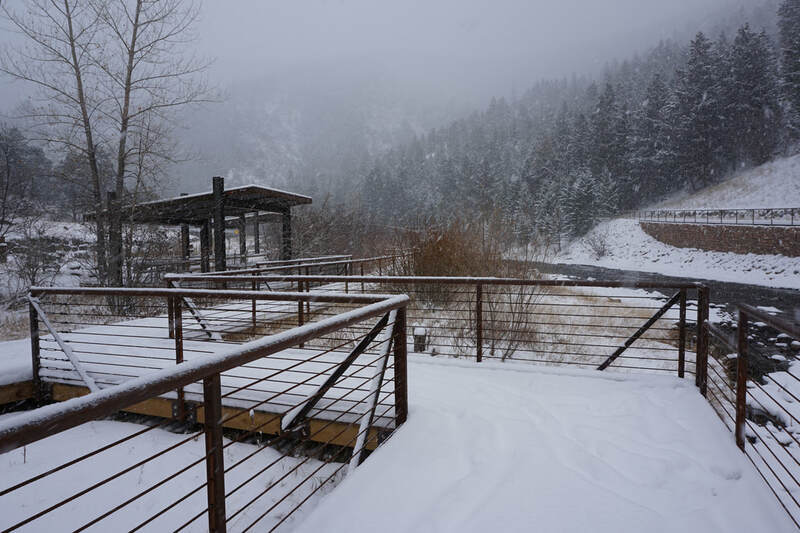 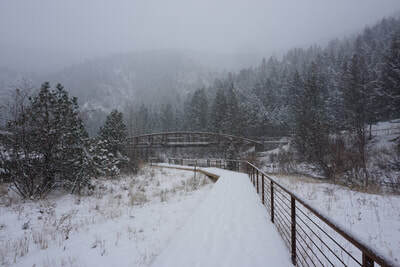 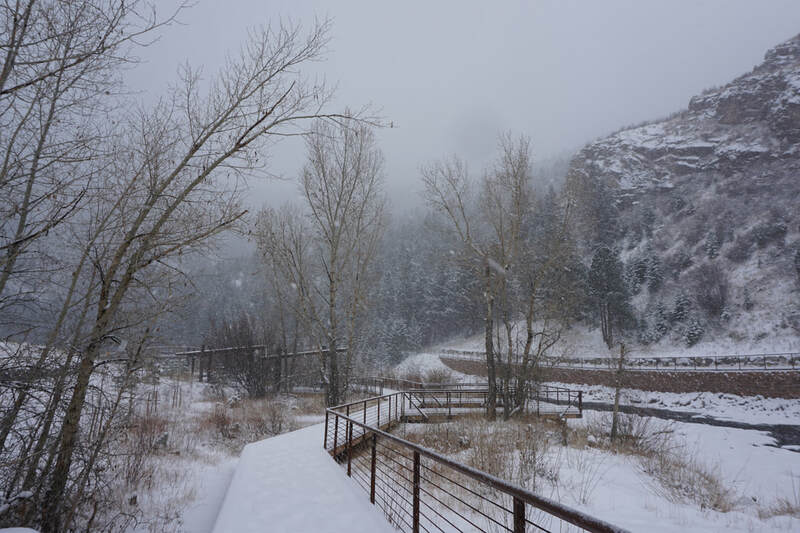 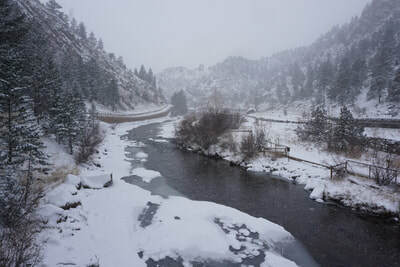 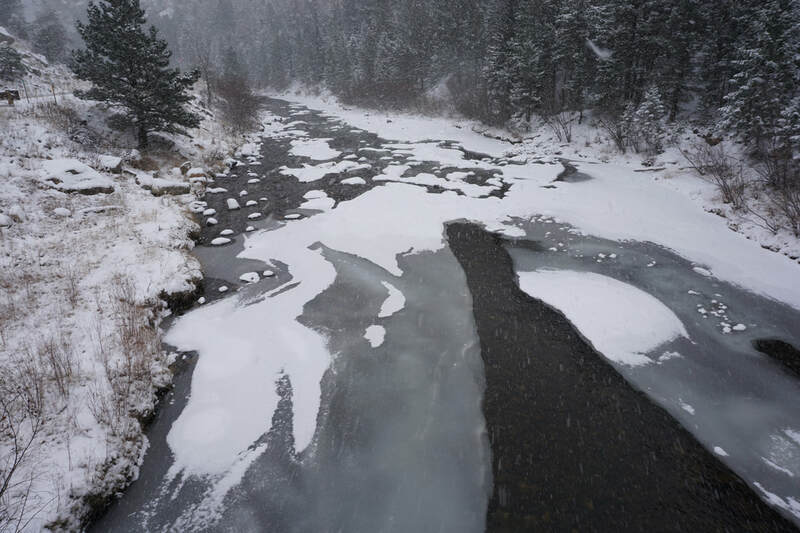 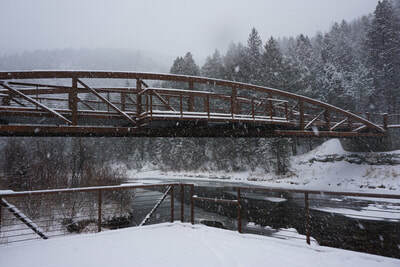 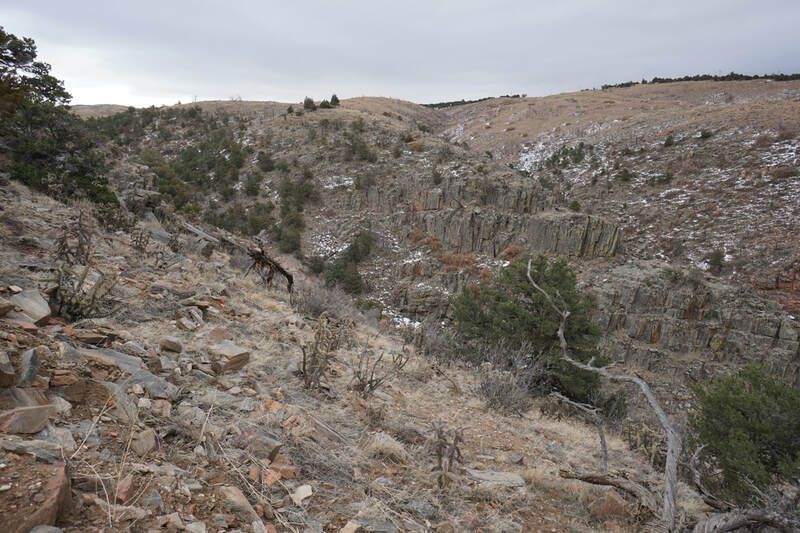 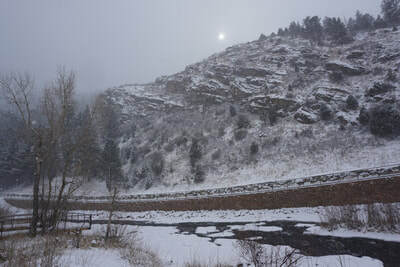 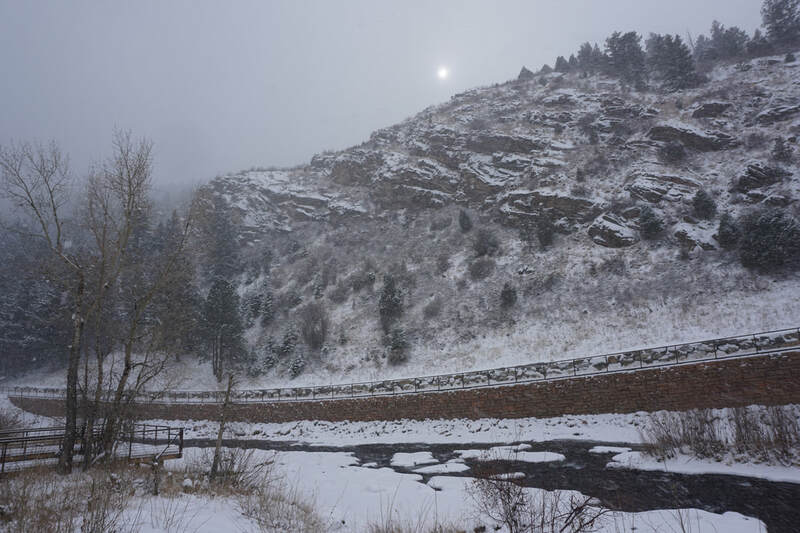 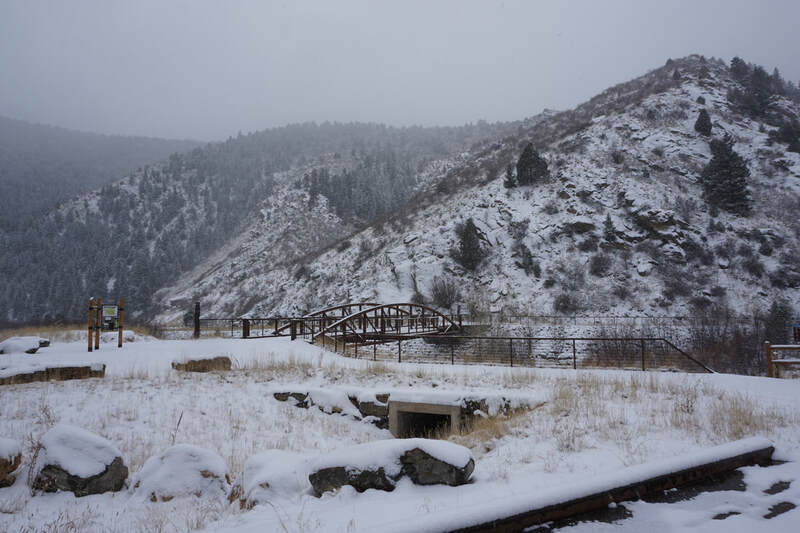 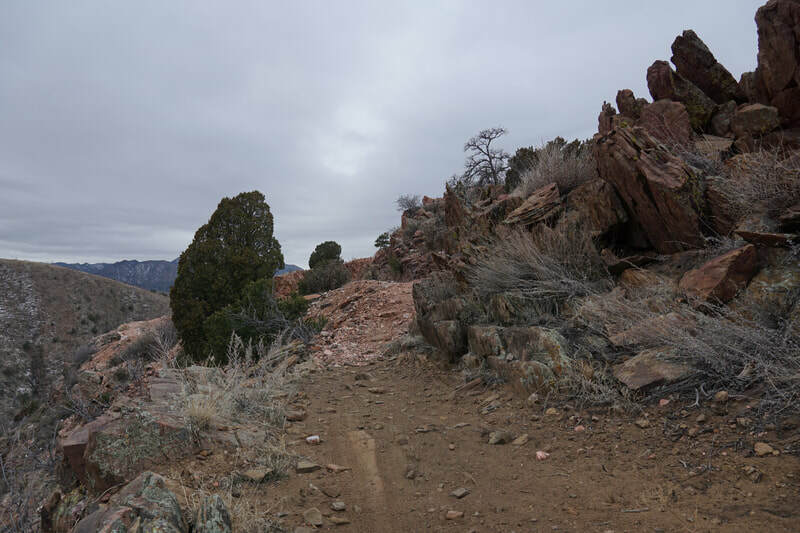 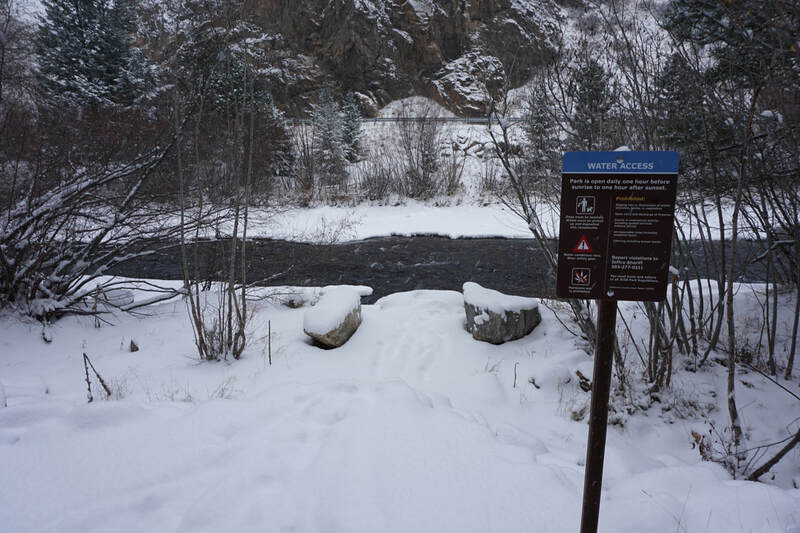 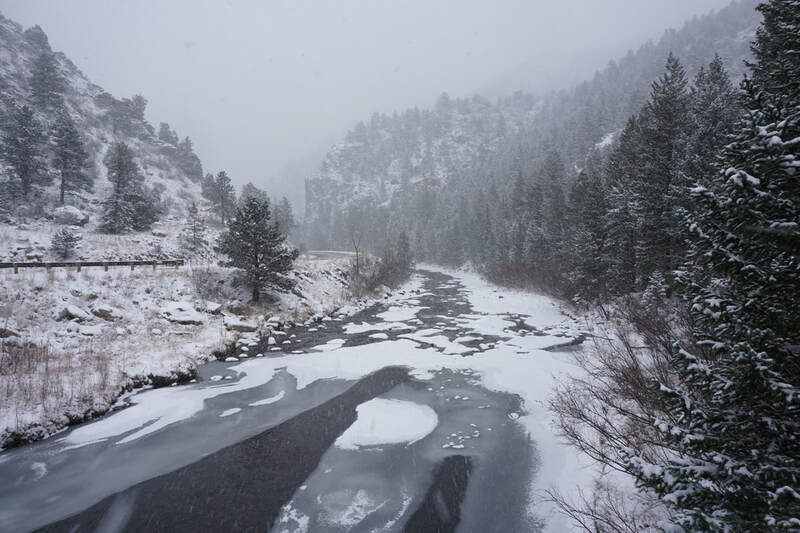 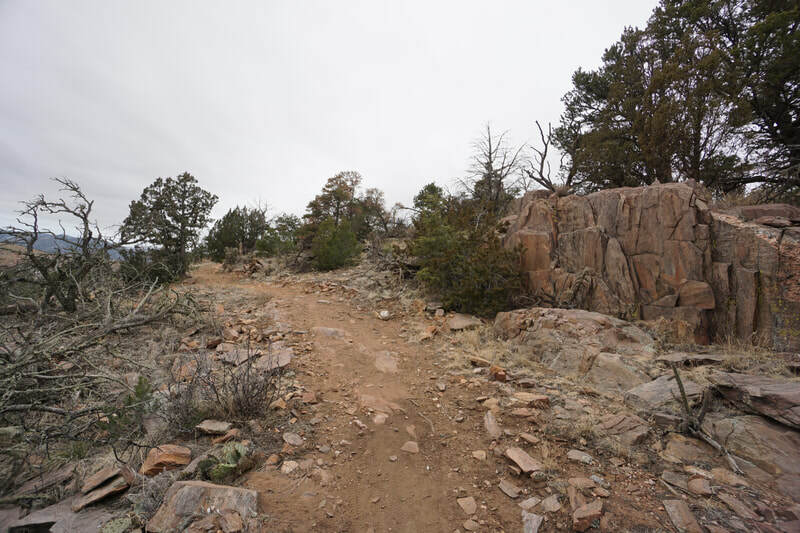 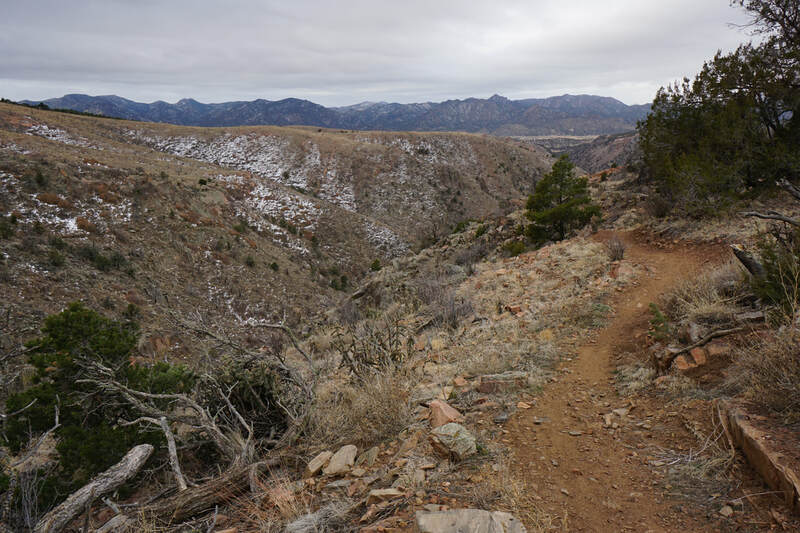 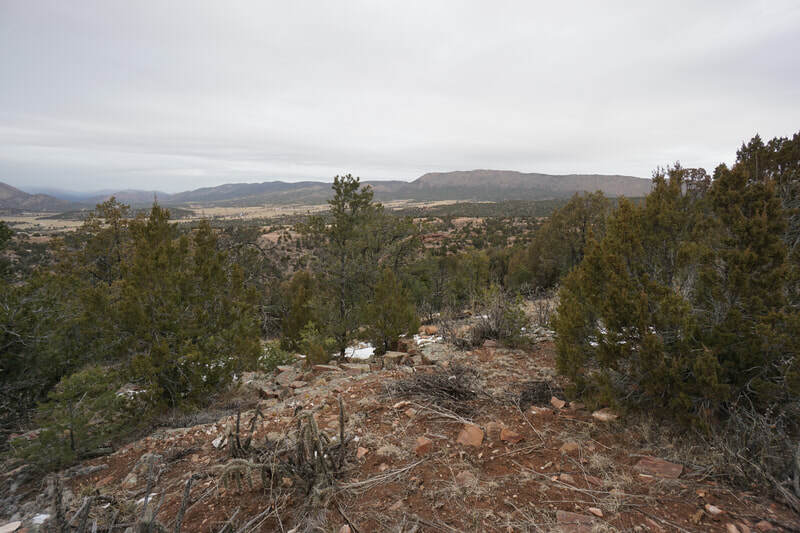 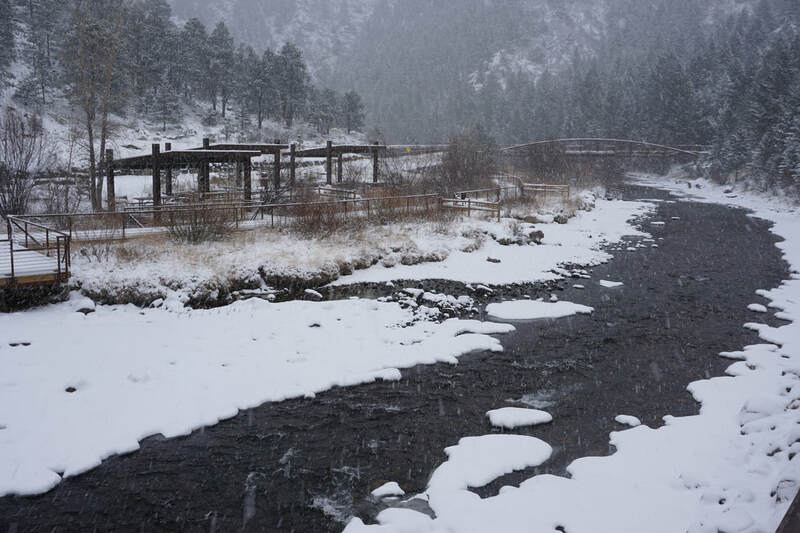 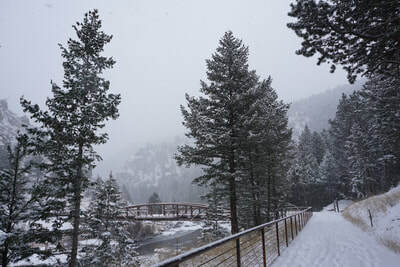 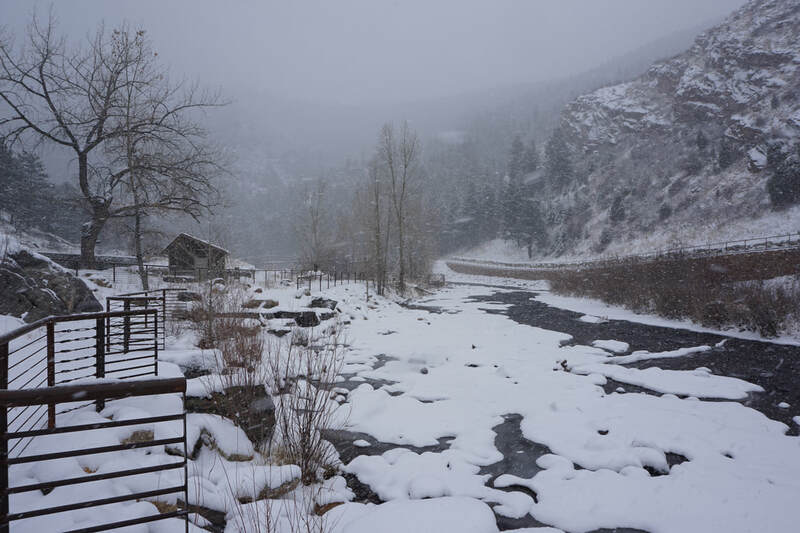 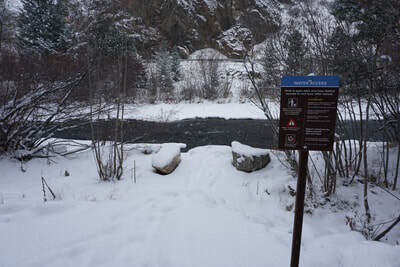 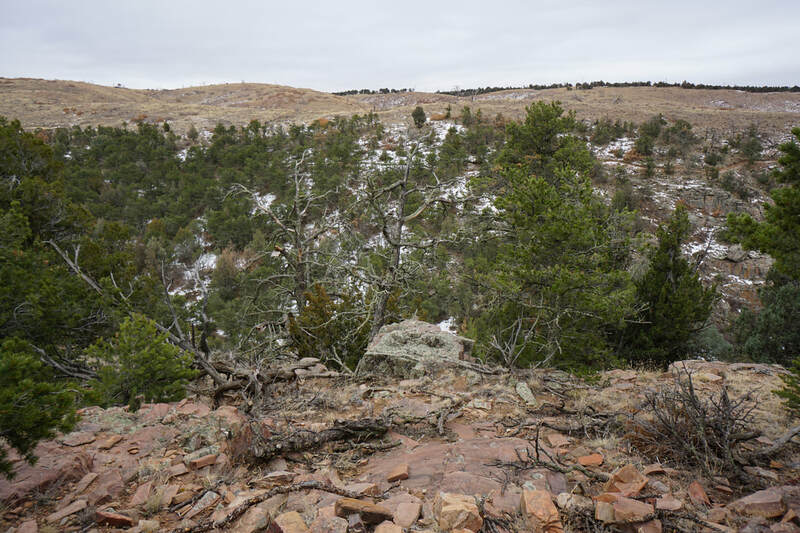 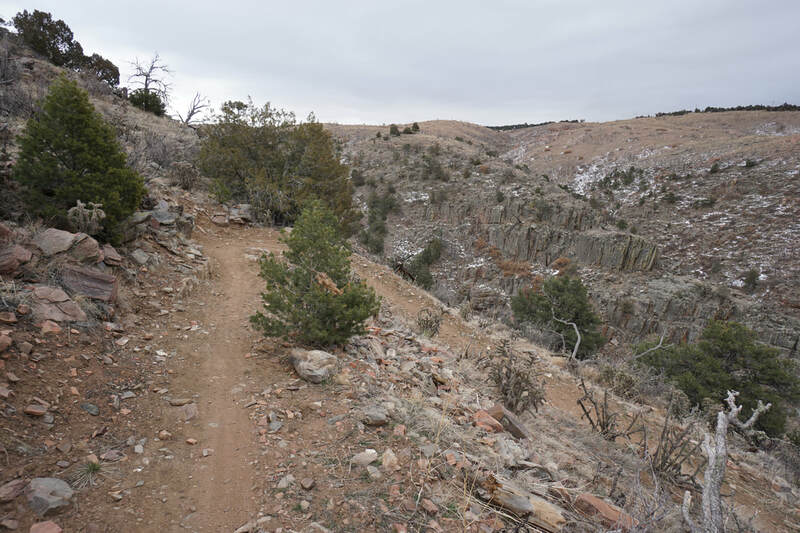 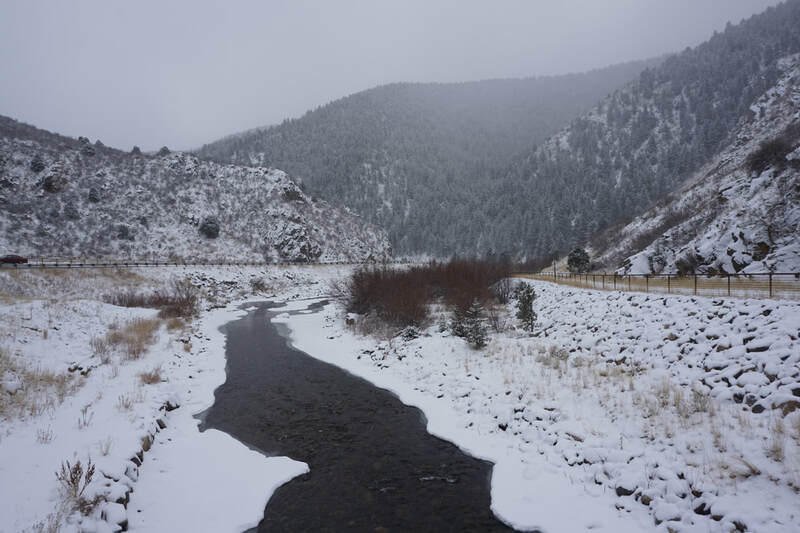 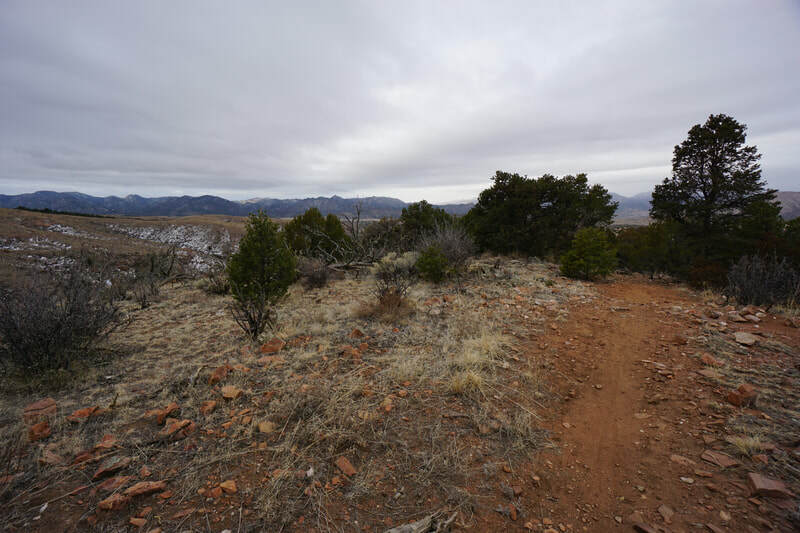 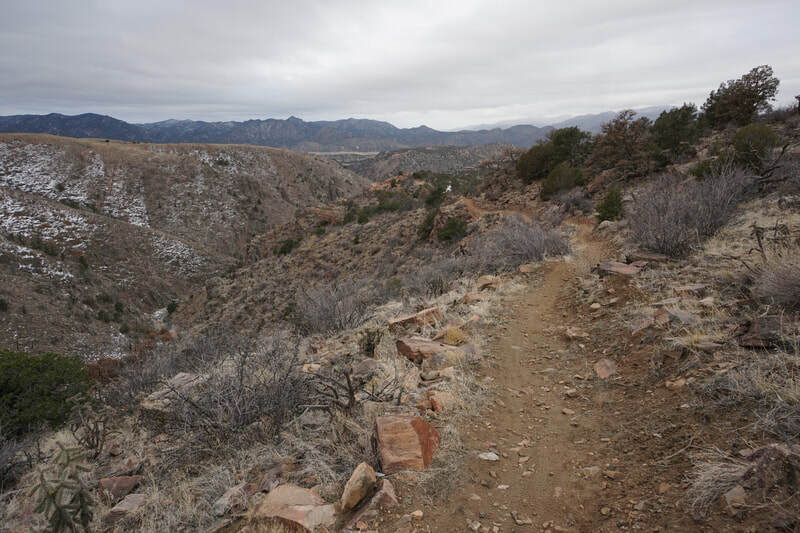 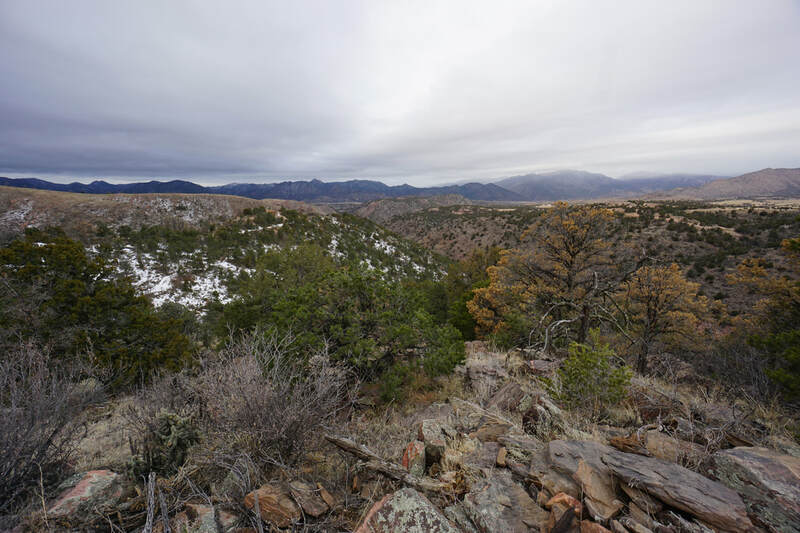 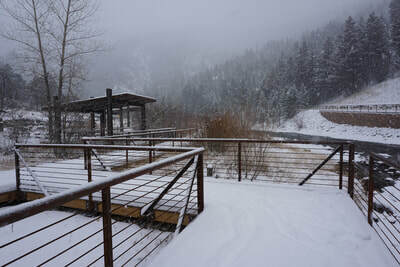 The trail provides a safe and relatively easy way to hike through Clear Creek Canyon in the cold, quiet, snow. 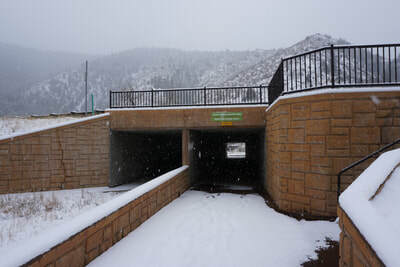 The Mayhem Gulch Trailhead is one of the key access points for the portions of the trail that have been completed. 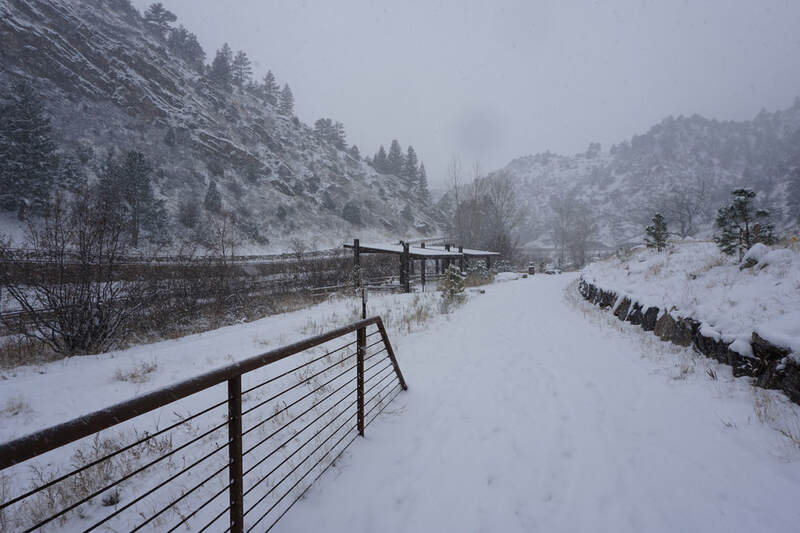 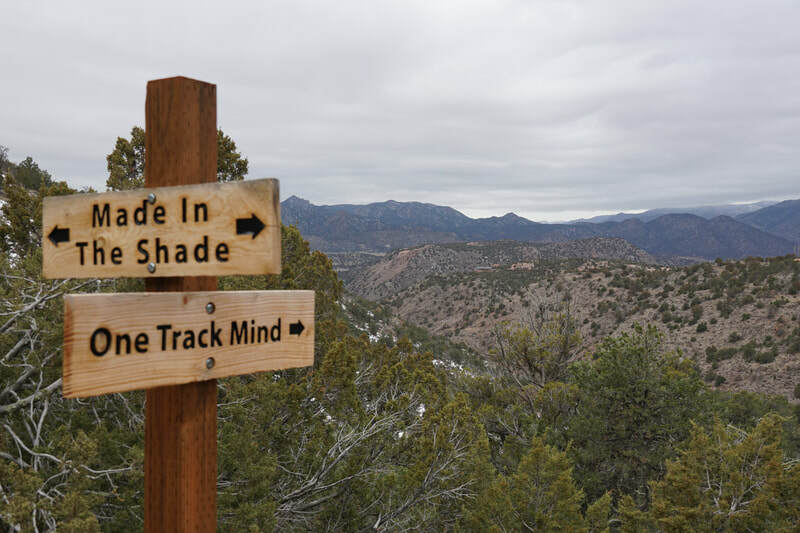 From Mayhem Gulch it is only 1 mile east to the newest attraction in Clear Creek Canyon, the Big Easy Trailhead. 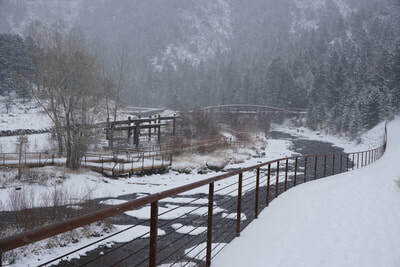 Big Easy has picnic tables and a wonderful boardwalk along the creek providing access to the water. 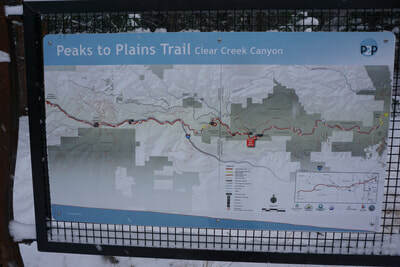 The 1 mile segment connecting the two areas is very scenic and makes for a nice, quick 2 mile walk. 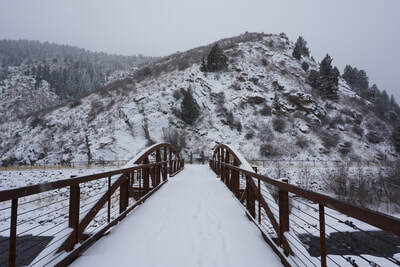 In the eastern direction, the trail currently ends at the Vasquez Bridge at Big Easy. 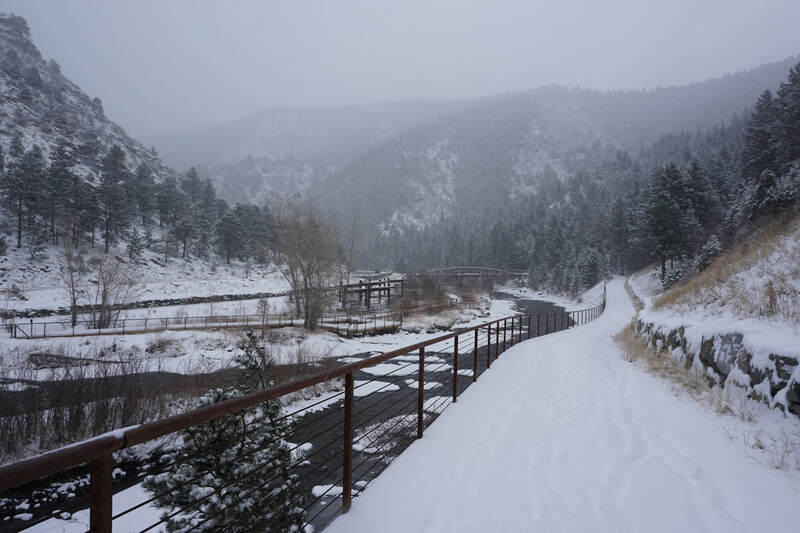 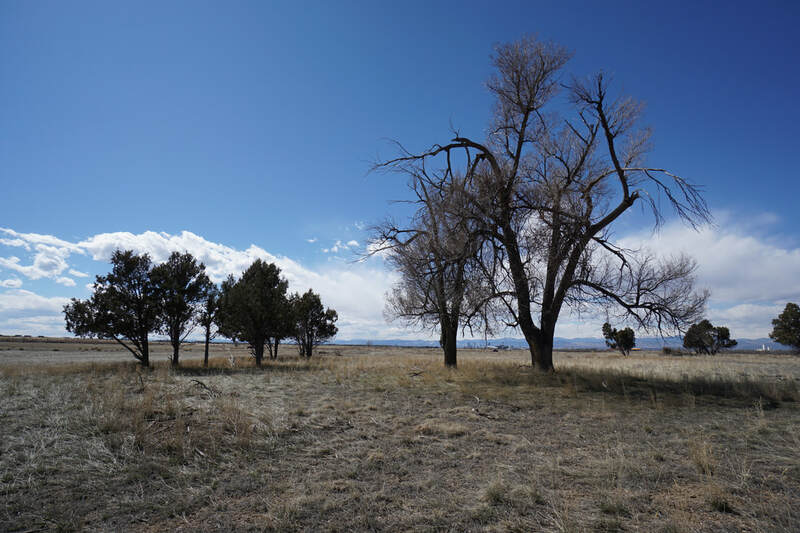 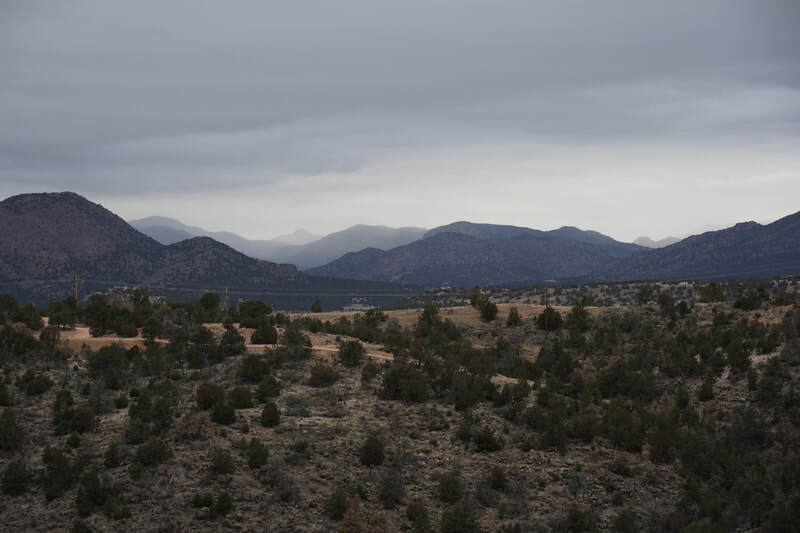 However, you can still walk west from the Mayhem Gulch Trailhead for 3.5 miles to the Oxbow, where it again ends awaiting more construction.